North Gorham, ME – Jay S. “Steve” Scholl, 71, of North Gorham, ME died on Sunday, October 22, 2017 at Gosnell Memorial Hospice House. He was the husband of Marlene (Pond) Scholl. He was born in Portland, ME on February 21, 1946 a son of the late Charles S. and Josephine (Manchester) Scholl. He grew up in Gorham, attending local area schools and graduated from Gorham High School in 1964. Steve drove for Merrill Transport out of Hampden, ME; from there he went on to teach truck driving at Boggy Brook Vocational School in Ellsworth, ME and then started his own construction business Steve Scholl Construction out of Bradley, returning to Gorham later on. He ended his career working for the Westbrook School Department as a bus driver, retiring in 2008. He spent several years volunteering for the Gorham Fire-Police and also drove rescue. He also used his driving skills to drive the “Bunny Bus” at Beechridge Speedway. In his spare time he could be found hunting, watching NASCAR and driving and watching Mud Runs. Besides his wife of 50 years he is survived by his daughter Kimberly S. Chase and her husband Carlton of North Gorham and his grandson Erik Blake and his girlfriend Bobbie Curtis of Windham and his granddaughter Chelsea Torrey and her husband Daniel of Cape Elizabeth. He also leaves two great granddaughters Audrey and Ava as well as two nephews Jeremy and Joshua Scholl and his two very close friends Joe Schnupp and Jonathan Burnham. The family wishes to extend a heartfelt thanks to the Casco Bay Dialysis and the Gosnell Memorial Hospice House for their extraordinary care. 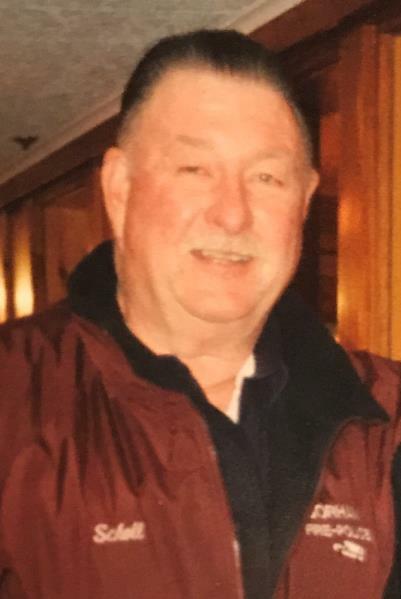 Relatives and friends are invited to attend a celebration of his life on Saturday, October 28, 2107 from 11 a.m. – 12 p.m. followed by a memorial service at 12 p.m. at United Church of Christ, 4 Standish Neck Road, North Gorham.